Inanimate Objects » What is Alumilite? 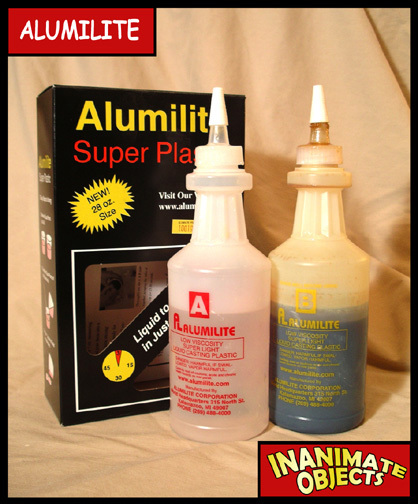 Alumilite is a two part liquid compound. When mixed, it turns solid in about three minutes. When solid, it has a consistency very much like ABS (hard) plastic. It can be easily sanded and painted. It’s an excellent casting agent for use with simple molds. A number of the heads you see on my figures are castings from molds using this material. To learn more about Alumilite, please visit alumilite.com.